3 - MOBIT will produce a list of results for the keyword you searched for, including other suggestions. 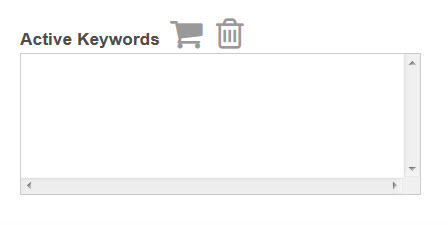 If the status of your keyword is unavailbale, another MOBIT user is currently using this keyword. 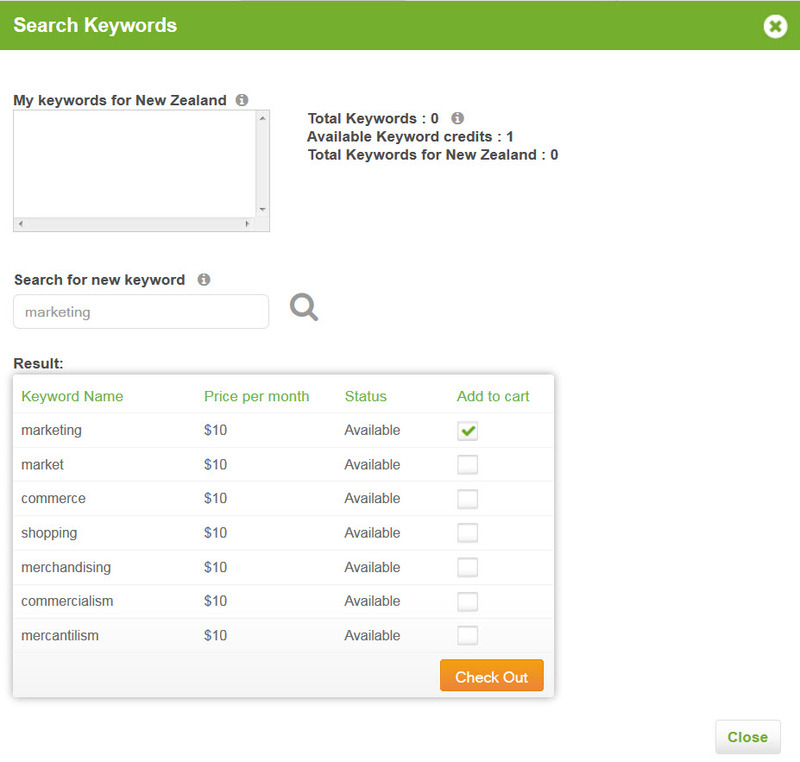 To purchase an available keyword, simply click the add to cart checkbox and click the Check out button. You will only be charged $10 USD per month if you have no avaiable keyword credits. You can check your avaible keyword credits in the top right of your search keyword screen.